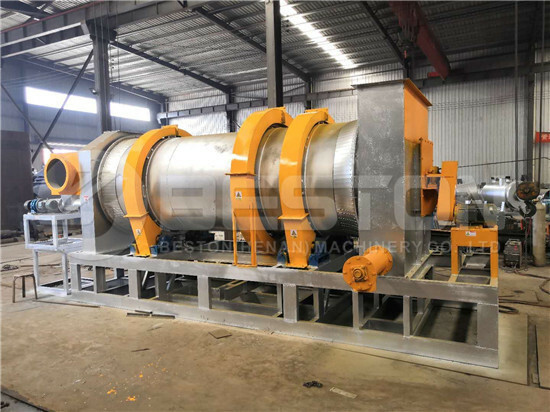 Biochar making machine can process various biomass wastes, such as sawdust, rice husk, coconut shell, palm shell, wood, bamboo, etc., into charcoal. And it is getting popular around the world because of the high-quality charcoal and eco-friendly design. 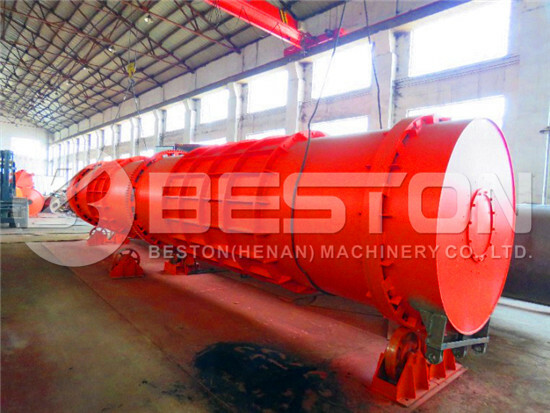 Beston Machinery is one of the top charcoal making machine suppliers in China. During these years, we have established many biochar production units in Ghana, Turkey, Spain, Ukraine, Uzbekistan, etc. With advanced biochar production technology, we are looking forward to serving more customers home and abroad. Welcome to contact us! 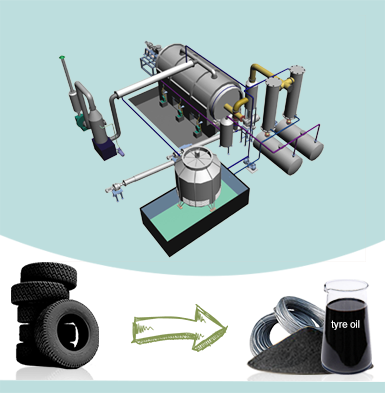 Now we have a series of biochar equipment for sale, whose feeding capacity ranges from 500 kg to 3000 kg per hour. Here are more parameters for your reference. 1. 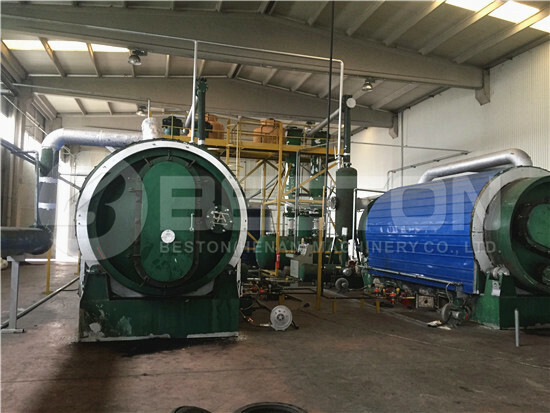 High-temperature pyrolysis: the moisture of raw material should be less than 20%. If the water content is too high, you’d better employ a dryer. 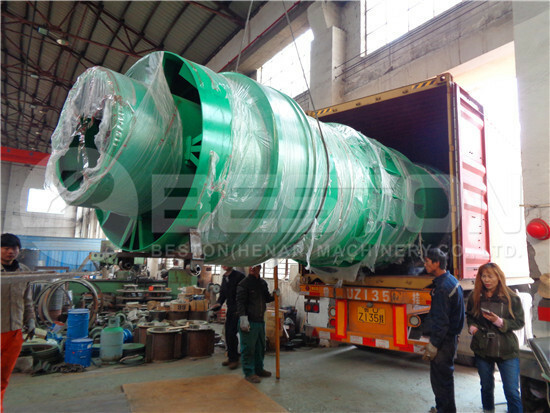 Then the raw materials will be conveyed to the biomass furnace for pyrolysis under high temperature. When the temperature reaches up to 100℃, combustible gas and charcoal will be generated. 2. Smoke emission and sulfur discharge: the combustible gas will be purified by spay dedusting system to remove the sulfur. After that, we will use a condensing system to extract tar and wood vinegar from combustible gas. Finally, the leftover gas will be reused to heat the furnace and drying device again. In this way, you can save your fuel costs. That’s why our biochar making machine is very popular among investors. 3. 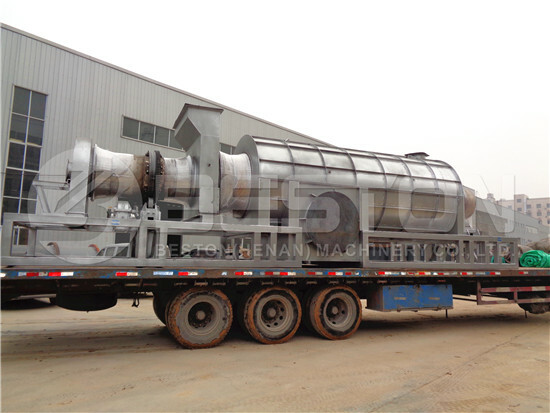 Discharging System: It is dangerous to get charcoal directly because of the high temperature. 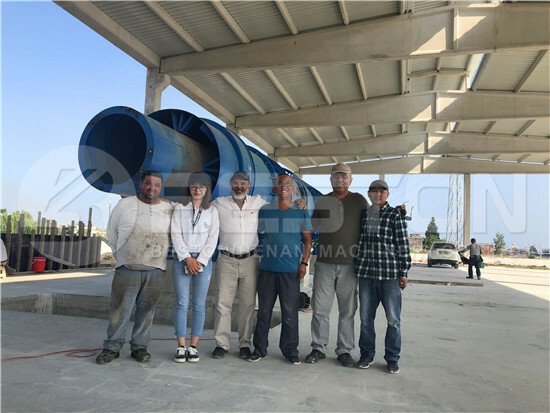 In order to keep the working condition safe, the biochar production line is also equipped with a cooling system to cool down the charcoal to 30℃ or less. 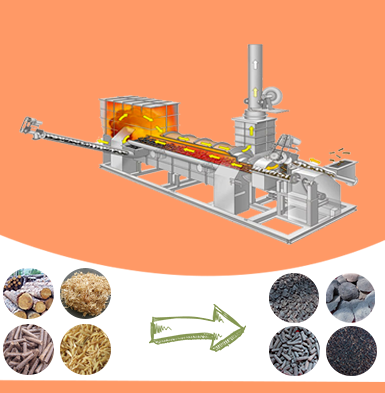 Through biochar machine, we can get the charcoal, tar and wood vinegar, which are all widely applied in our living life. Especially, the biomass charcoal has much higher caloric value than coal but it is more eco-friendly. Moreover, biochar requires lower cost comparing with industrial production. At present, it has become the main fuel of many melting industry. Due to the higher heat value, it can also replace wood and natural gas for cooking and warming. Biochar has rich micro-elements such as nitrogen, phosphorus, calcium, zinc, and manganese, so it is always used as fertilizer to improve the quality of soil and increase the yield of crops. Finally, it also needs to mention that biochar is also a kind of additive to produce activated carbon. 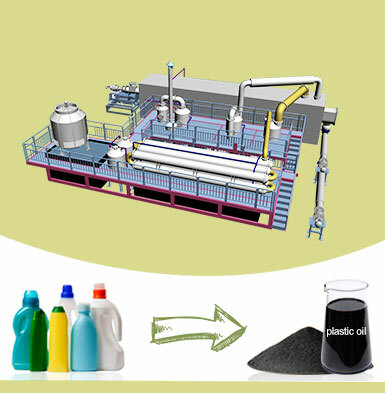 Tar and wood vinegar are chemical materials, which can be sold to the chemical production industry directly. During the biochar production process, combustible gas will be used as fuel replacing coal, wood and natural gas of traditional gas, which has largely reduced the consumption of non-renewable energy. Moreover, after purified by spay dedusting system, combustible gas contains no harmful components, which has reduced environmental pollution. The fully sealed working condition also can avoid the leakage of residual gas. 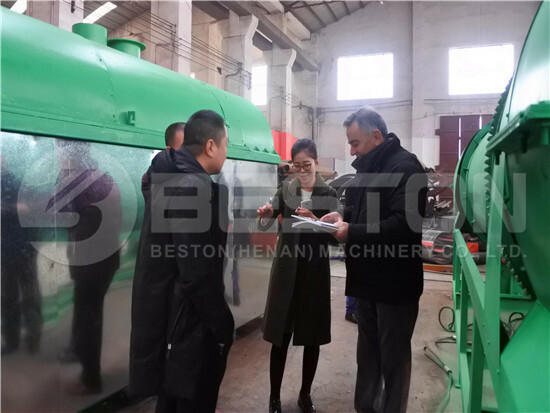 Moreover, the whole process of Beston biochar making machine is pollution free. So you will never worry about environmental policies. 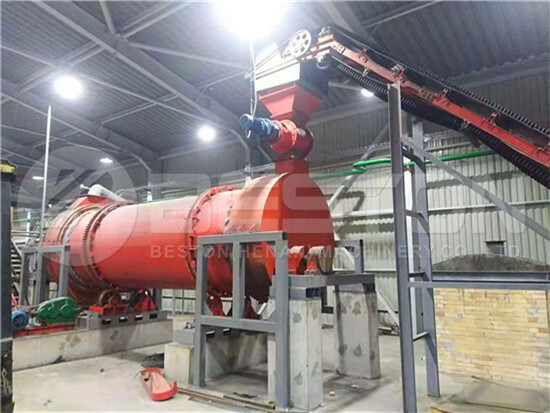 Why Choose Beston Biochar Making Machine? 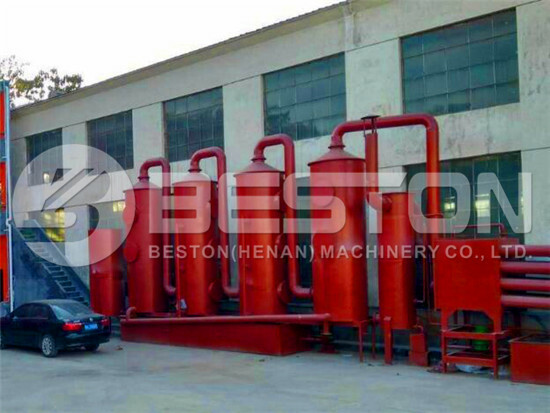 Beston Machinery is one of the top charcoal making machine manufacturers. We have been engaged in carbonization technology for years so that our biochar production equipment is getting mature and effective. 1. 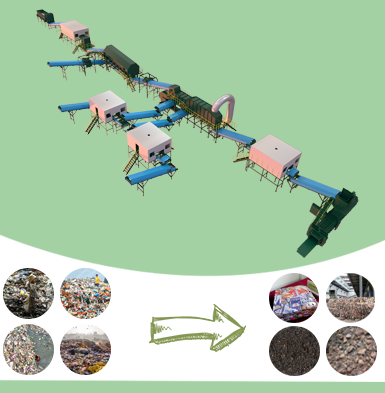 Our biochar making machine is fully continuous to save your labour force input and time. Meanwhile, it is much more effective. 2. We employ a PLC control system to monitor the carbonization process at any time. It means you can find out problems in time and make a solution immediately. 3. Application of advanced technology can guarantee the quality of end products basing on the continuous increasing of working efficiency. 4. 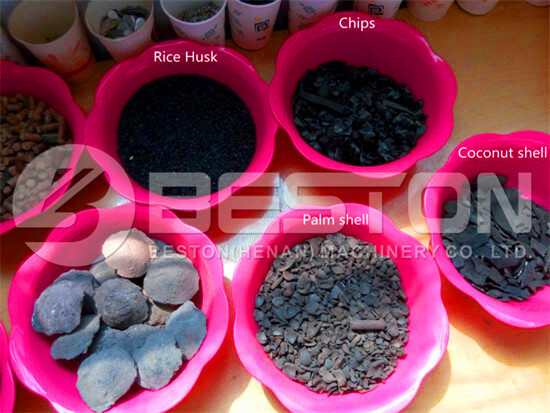 In order to meet the different requirements of clients, Beston has designed many different models of biochar equipment for sale. 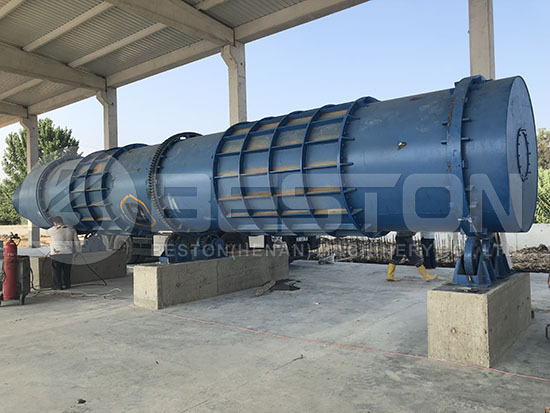 More importantly, we will provide you with the most suitable biomass pyrolysis plant according to your real conditions. 1. There is a case on the surface of the carbonization furnace to keep workers from high temperature. Meanwhile, it can keep the reactor warm for a longer time. 2. Fully sealed working condition can avoid the oxygen contacting with furnace directly to cause an explosion. 3. Electric distribution cabinet can show the data of temperature and pressure, and it can ensure the security of the whole operating process. 4. Professional spay dedusting system can remove the harmful chemical components of sulfur to protect workers. 5. We have set many emergency buttons in the right places, and it can make sure that our technicians can deal with sudden cases in time. Beston has formed 8 overseas offices in each continent. There are more than 60 professional post-sales service engineers to serve you as soon as possible. 1. 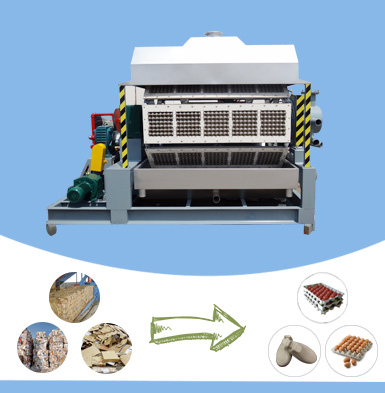 Our products, including waste sorting machine, waste pyrolysis machine, charcoal machine and egg tray machine, are under a one-year free warranty. 2. All equipment is under lifetime service support. 3. We offer quality spare parts for all customers. 4. Fast delivery. We have rich exporting experience to save your time and money on shipping. 5. Our engineers will be on site to help your installation, commissioning and training your workers. 6. We also supply professional technical advisory service and product update service. We are looking forward to your visit with the quality biochar making machine as well as the best service! Welcome to contact us!